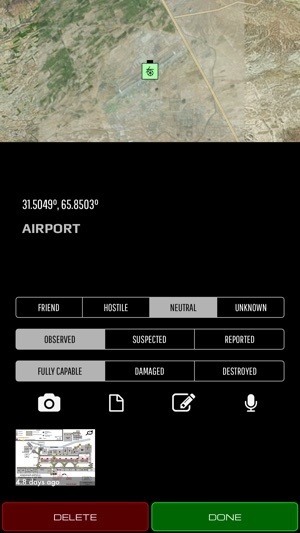 SITREP is a tactical mapping tool designed to maximize situational awareness and operational readiness. Conceived by senior leaders from the U.S. Special Operations Forces (SOF) community, SITREP allows for rapid data collection and streamlined report generation. 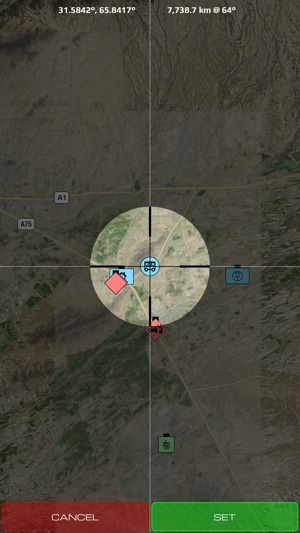 SITREP is the first mapping tool that empowers the concept of Every Soldier a Sensor. The intuitive interface enables discreet, real time recon, to boost effectiveness in the field. SITREP augments the standard functionality of data capture and storage with all the tools needed for military, law enforcement, or first responder operations. - Full NATO symbol library - Annotate any point of interest with official NATO symbology. - Easy drop pins - Mark points with the press of a finger or voice command. - Situation Report Forms - Simple entry forms, take the hassle out of paperwork. Developed and field tested by SOF operators throughout the special operations community. 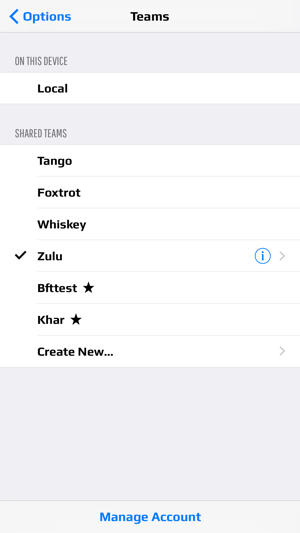 Teams: share data in real-time through the cloud. Fixed bug causing symbols to not be transmitted to team. I'm not a rep for this company,but I have been pushing this heavily with all of my LE clients that I train. This is a COTS solution that instantly fills a massive gap in officer safety, personell management, and planning. 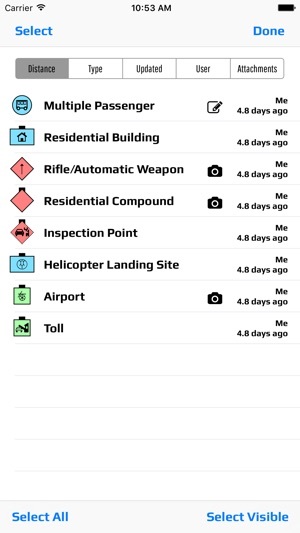 This app esssentially gives any agency the instant ability to be aware of all of their officer's real time positions. Commanders can instantly plan operations and share the plan with all subordinates. Individual officer can also instantly and seamlessly relay reliable ground level intel to descision makers. Would love to use this as my primary mapping for team use but to only have gps useable with location ALWAYS ON instead of also WHILE USING. I feel like the ball got dropped. Guys, don’t try to reinvent the wheel - ATAK & WinTAK have already done the necessary leg work - coordinate with their dev teams to bring the necessary functionality to the Apple universe. Apple is known for innovation, but NOT in this case.